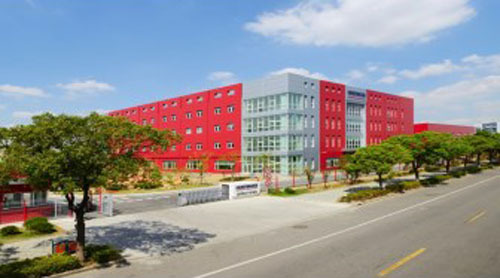 Huntsman Corporation held an inauguration ceremony on September 17 to mark the official opening of its new US$40 million Asia Pacific Technology Center (ATC) in Shanghai’s Minhang Economic & Technological Development Zone.The new facility forms an integrated technology and innovation campus together with the existing technology center that was opened in September 2008. The facility includes machine halls, laboratories and offices and can accommodate up to 400 technical experts. The event was hosted by Huntsman’s Founder and Chairman, Jon M. Huntsman and its CEO Asia Pacific, Anthony P. Hankins. More than 300 audiences, including customers, local authorities, suppliers, Huntsman employees and corporate officers attended the ceremony. Mr. Hankins commented, “The Asia Pacific ATC investment reflects Huntsman’s long term commitment to grow in partnership with our customers in this key market. We now have a world-class technology facility in Shanghai, employing talented local scientists, developing fit-for-purpose applications that are suited to the specific needs of our customers across the region.